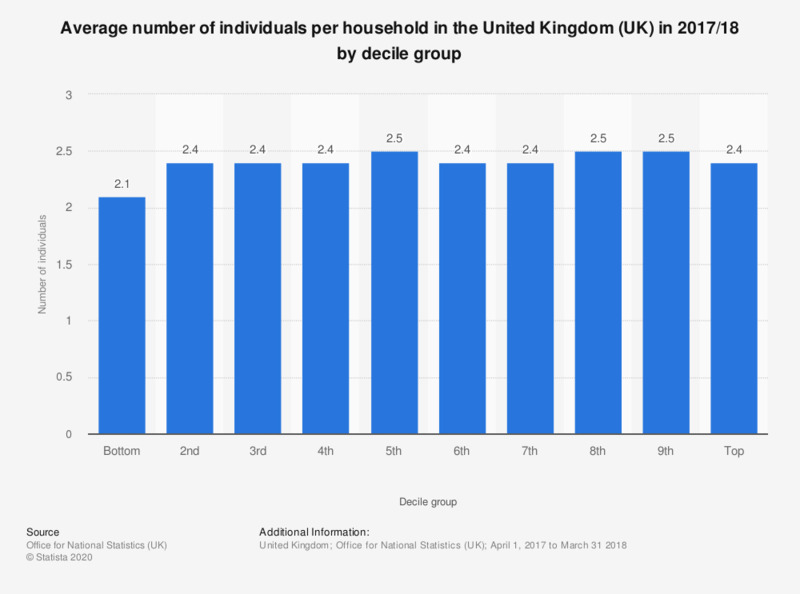 This statistic displays the average number of individuals per household in the United Kingdom (UK) in 2017/18, by decile. Households in the bottom decile had, on average, 2.1 individuals. This was the lowest number of individuals of any decile group. Households in the fifht, eighth and ninth decile had, on average, 2.5 individuals. This was the highest number of individuals among the decile groups.